David Quarmby CBE has been appointed as the new chairman of the Royal Automobile Club Foundation, the motoring charity. David is a consultant in transport, planning, economics and tourism. He already chairs the Transport Research Institute at Edinburgh Napier University. He takes over from David Holmes CB who is stepping down at the end of his tenure. * DAVID QUARMBY CBE MA PhD Hon DEng Hon DSc FCILT FTS is a consultant in transport, planning, economics and tourism; chairman of the Transport Research Institute at Edinburgh Napier University; a non-executive director of NedRailways (UK); and a member of the RAC Foundation Public Policy Committee. David was until recently a director of Colin Buchanan and Partners, and continues to work free-lance for them. For Colin Buchanan, David has recently led the development of a transport strategy for the Milton Keynes/South Midlands partnership (one of the government’s major growth areas), analysing the ability of the road and rail networks to support the ambitious growth agenda. In 2008 David was a Member of the Commission of Inquiry appointed by Essex CC into the A12 Trunk Road, and has twice chaired EEDA’s Transport Summit. Since 1996 he has been chairman of the British Tourist Authority and chairman of the English Tourist Board (prior to the creation of VisitBritain); chairman of the Strategic Rail Authority; chairman of the Docklands Light Railway; and a Board Member of Transport for London. Prior to 1996 David was for 12 years a main board director of Sainsburys, first as Logistics Director and then as Joint Managing Director responsible for all company operations. From 1975 to 1984 he was a Board Member and then Managing Director, Buses at London Transport. In the late 1960’s he was an Economic Adviser at the Ministry of Transport, working on the development of demand forecasting methods for the national road network, and of COBA, the first method for cost-benefit analysis of road investment. David was appointed CBE in 2003, and has honorary degrees from Edinburgh Napier University and Huddersfield University. 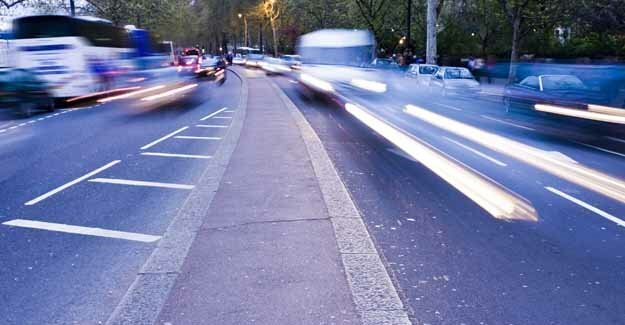 * The RAC Foundation explores the economic, mobility, safety and environmental issues relating to roads and the use of motor vehicles, and campaigns to secure a fair deal for responsible road users. Independent and authoritative research for the public benefit and informed debate are central to the RAC Foundation’s standing. The RAC Foundation was originally set up in 1991 fundamentally as a research arm of RAC. Following the de-merger and sale of RAC in 1999, the Foundation took on a new and wider role to include researching and promoting issues of safety, mobility, economics and the environment.